Security, Peace-building and Diplomacy MSc student, Selsabil Amine, recently attended the Common Future Forum which was on the future for young people in Brexit. Selsabil therefore shares her thoughts on ‘Navigating a Brexit Broken Britain’ in this blog. Those were the words spoken by the talented Jo Cox during her maiden speech in Parliament. They were also the words Stephen Kinnock MP quoted during his opening speech at the Common Futures Forum, which was a space created for the discussion on the future of young people in a post Brexit UK. Though the forum held panels on a variety of topics to peak your interest like ‘How to Create a Movement’ and ‘Democracy: In Critical Need of an Update?’, one thing loomed in the air throughout the day: the Brexit negotiations have puzzled and polarised the British population, and it has become a problem. There is a clear divide between the two warring cosmopolitan and communitarian camps of today’s Brexit defined society, but in both camps there is the clear need to solidify how we can navigate the realities of a post-Brexit UK. During and after the Referendum campaigns, young people have often been painted as loudly naïve. They are either students trapped in a bubble dictated by a utopian academic ideal, or young underemployed or unemployed communitarians who simply parrot the older generation resentful toward high levels of immigration. Arguably, this ridicule has drowned the voices of young people as a legitimate contributor to what kind of UK a post Brexit population wants. Whatever our Brexit looks like, whether it’s a hard enough Brexit to spin the dream of freedom from a protectionist economic bloc, or soft enough to retain the freedoms and opportunities offered by a single market, we will all have to find ways to listen to each other again, cosmopolitans, communitarians, and disinterested eye rollers. During the Common Futures Forum, the London School of Economics’ “Building Bridges: A Youth Vision for a Common Future After Brexit” was released, after being commissioned by the All-Party Parliamentary Group on a Better Brexit for Young People. An interesting finding was British youth believe the aggressive political debate will actually damage positive and productive future negotiations, and it’s not hard to see why. The report also found that many believe the interests of older generations have been prioritised during the Brexit process, and that young people want a new kind of politics which focuses on bridge building, not the quasi-heroic quest to finish off the job that Margaret Thatcher started. The CFF states that its purpose is to kick start the process of transforming young people’s feelings of resentment and alienation into a more productive commitment to listen, understand, engage, and find the common ground together, by building bridges and dialogue across generations and communities. This is so important, but it is not enough as our polarised population is not an issue we can simply talk away. Bridge building and the skills to establish and manoeuvre within common ground must flourish within the classroom, within the lecture theatre, within cultural centres and ESOL classes, within pubs and parks, cafes and football stadiums, at the job centre, and Westminster. 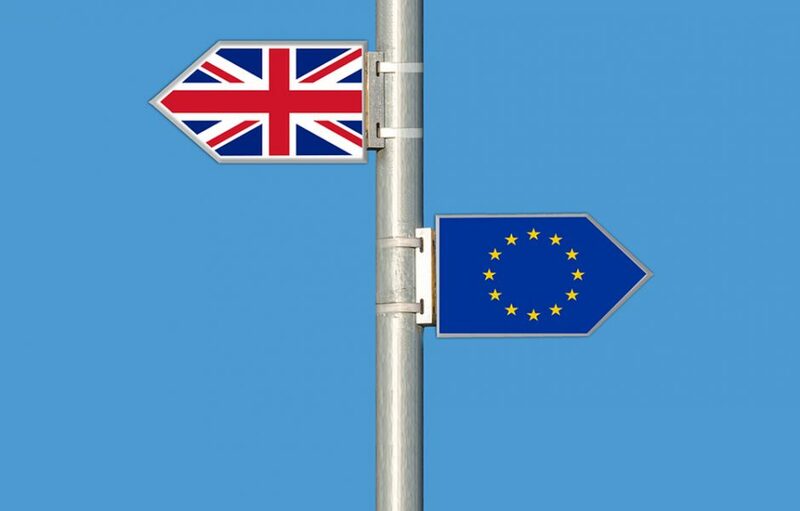 Loughborough University London would like to thank Selsabil for writing this blog on navigating Brexit. To find out more about our master’s programmes and PhD opportunities within the Institute for Diplomacy and International Governance, please see our webpage.